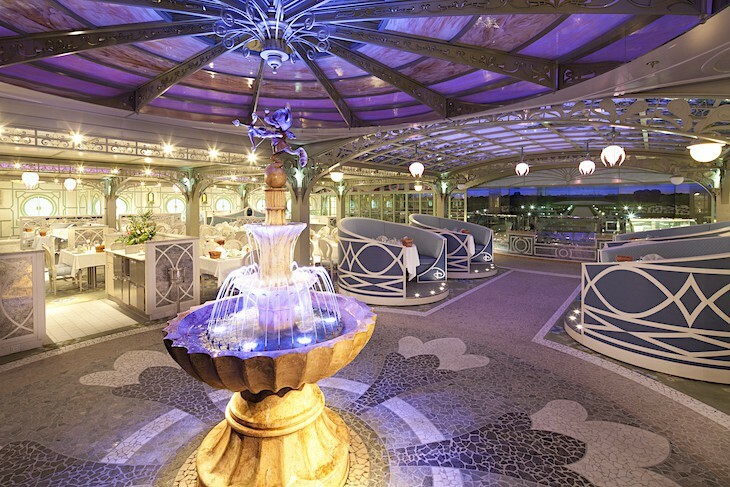 Disney’s dining system, which rotates through each of three restaurants, is a unique one not found on any other cruise line. Seating is assigned and although you’ll be moving to a different place each evening, your servers as well as table guests will travel with you. There are two seating times: Main Seating at 5:45 p.m. and late seating at 8:15 p.m. With so many children onboard the earlier Main Seating is always the most popular, so reserve your preference as soon your cruise reservation is made. Disney tries to put adults traveling without children together or at tables for two and families with children at their own table or with other families, but it doesn’t always work out quite that way; if you are unhappy with your table assignment speak to the maître d’ immediately and see what can be done about a table reassignment. Evening attire changes nightly, but most if not all evenings are resort casual. 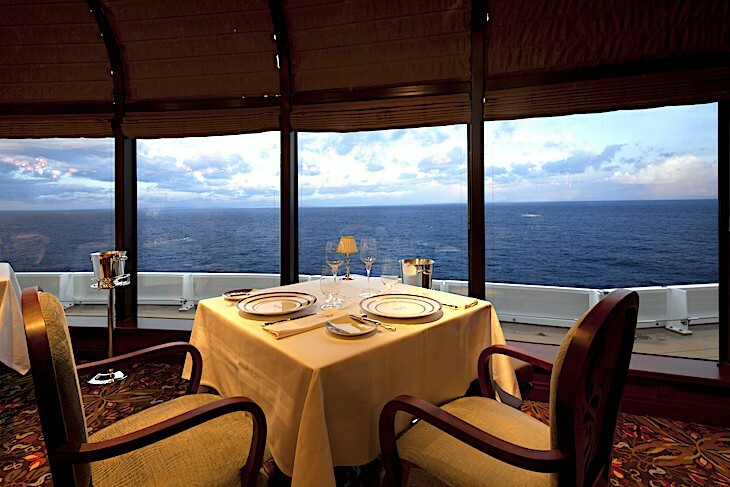 Aboard cruises five nights or longer there are also semiformal and formal or black-tie-optional attire evenings. 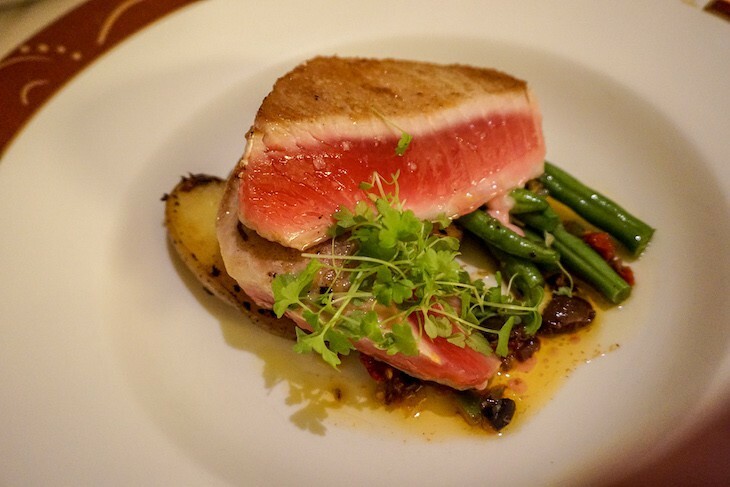 Food in the standard dining rooms is fairly mediocre, something I feel Disney could work on; for goodness sakes, drop a line and get fresher fish for the table (lol)! 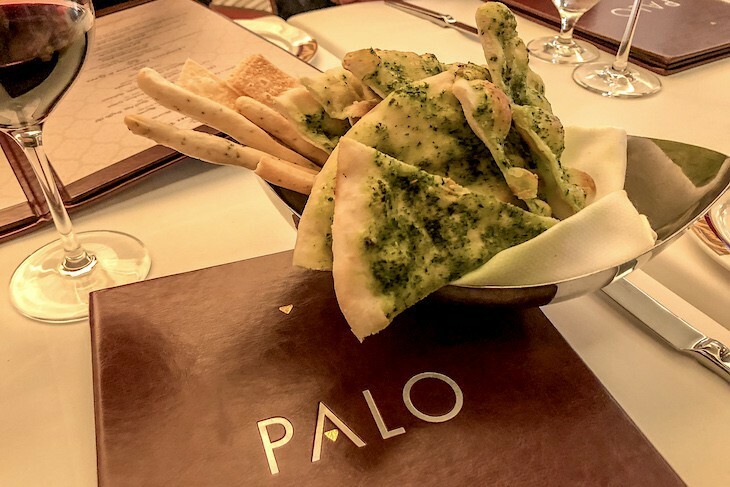 There is an occasional exceptionally good dish, but again, note the word “occasional.” That said, beyond the rotational dining restaurants are two terrific adult-exclusive restaurants choices, Palo and Remy. 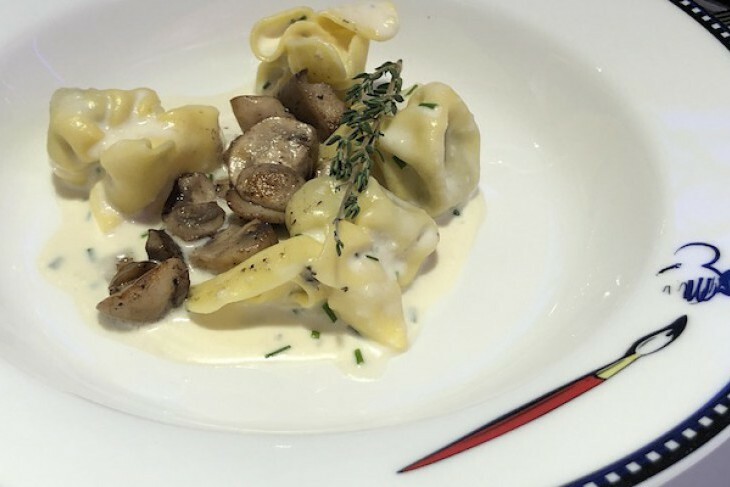 At the very least you should plan on one meal per restaurant or more per sailing. 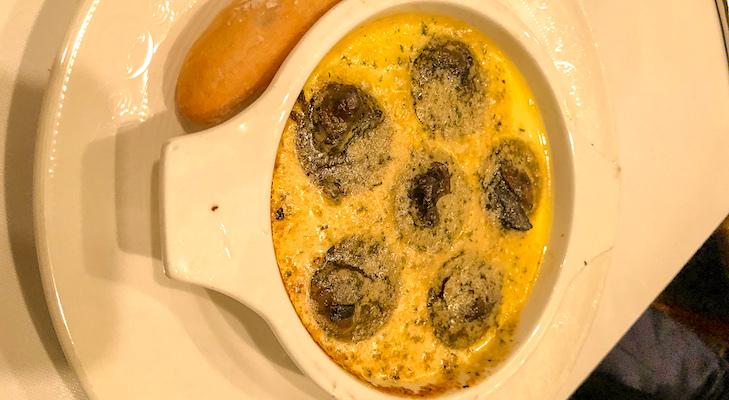 Only one dinner per restaurant can be pre-reserved, but if you want additional evenings, ask on arrival where you should head to make another night or two of reservations. I also recommend reserving at least one of the brunches offered on at-sea days at both Palo and Remy; both are truly extraordinary. Pacific Rim-inspired food with an American twist is just one of the specialties here at this one-of-a-kind restaurant where the entire dining room is transformed as the meal progresses. With more than 100 video monitors that change into virtual “windows,” this is one fun place to dine. 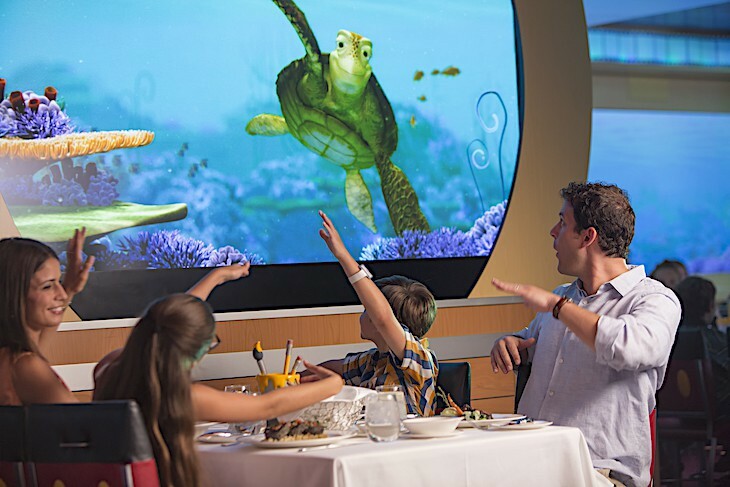 On both the Dream and the Fantasy animated Crush from Finding Nemo fame entertains guests with his own brand of “cool” craziness in Undersea Magic. But an additional dinner show, Animation Magic, is a favorite where guests create their own animation drawing that just might become part of the show, all overseen by an animated Sorcerer Mickey. Changing from a “daytime” garden setting to a “nighttime” evening garden, this is one charming restaurant. 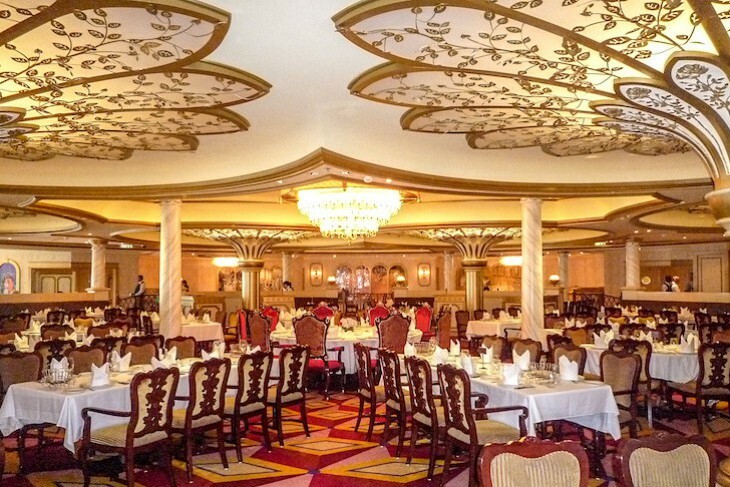 Royal Palace on the Dream and Royal Court on the Fantasy both offer French-inspired cuisine. 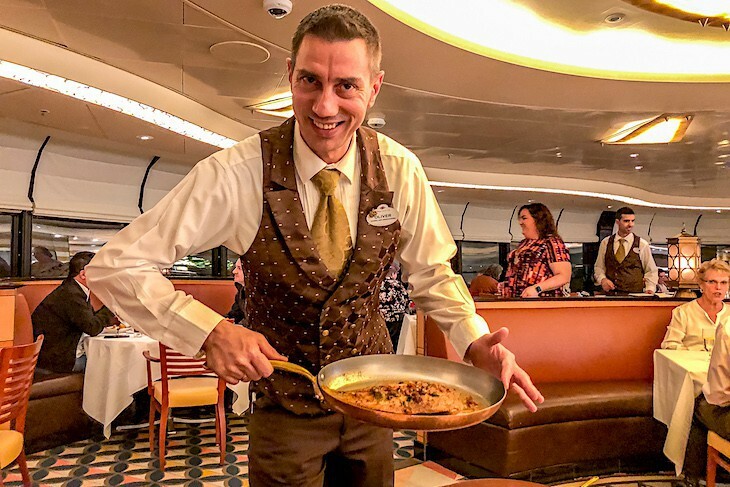 Royal Court Royal Tea is a family experience offered on both the Disney Dream and Disney Fantasy on a day at sea, the perfect chance to interact with Disney princesses with a meet-and-greet. Lady Chamomile and Chef Brule are the hosts as they tell stories, dance and sing renditions of classic Disney tunes, encouraging kids to participate. Along with herbal tea, sandwiches, and sweets, each child receives gifts as a keepsake of their experience. Girls a tiara, necklace, jewelry box, friendship bracelet, and Cinderella doll; boys a Duffy bear, autograph book, sword and shield, and Disney pins. Designed for children 3-12, each child must be accompanied by a parent or guardian. Solo adults are not eligible. 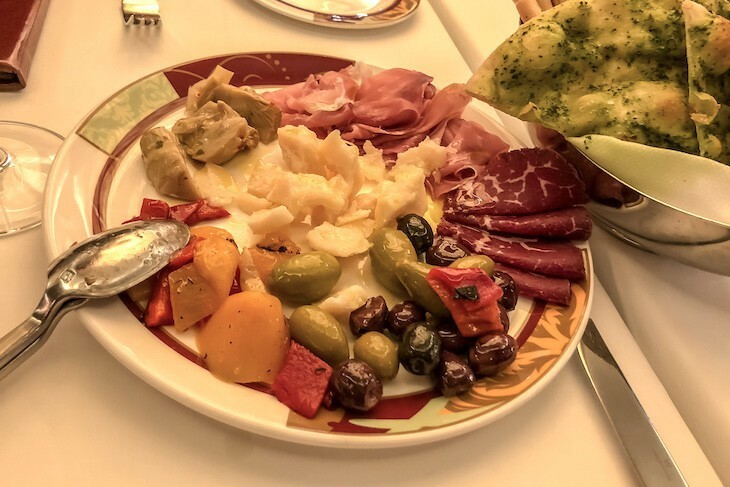 One of the ship’s best features, Palo, with its luscious Northern Italian cuisine, intuitive service, fine wines, and an air of romance accompanied by sweeping ocean views is not something you’ll want to pass on during your cruise. 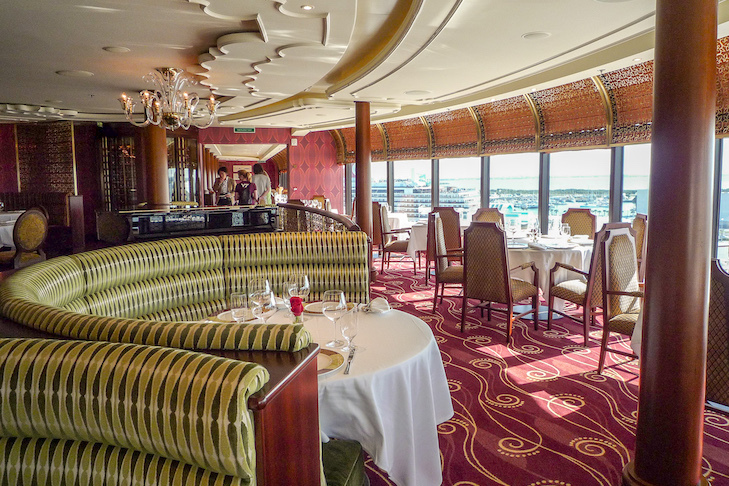 A standout among beautiful dining rooms at sea, most of Palo’s seating (if you can, opt for one of the chic, semi-circular booths) face floor-to-ceiling windows with spectacular ocean views. And better than the views, the food lives up to its excellent reputation. Shortly after your arrival an antipasto cart breezes up to the table with a lovely assortment of glistening, olive oil-sprinkled grilled vegetables along with prosciutto, bresaola, aged Parmigiano Reggiano sprinkled with 8-year aged balsamic, and marinated red peppers—always a savory start to the meal. 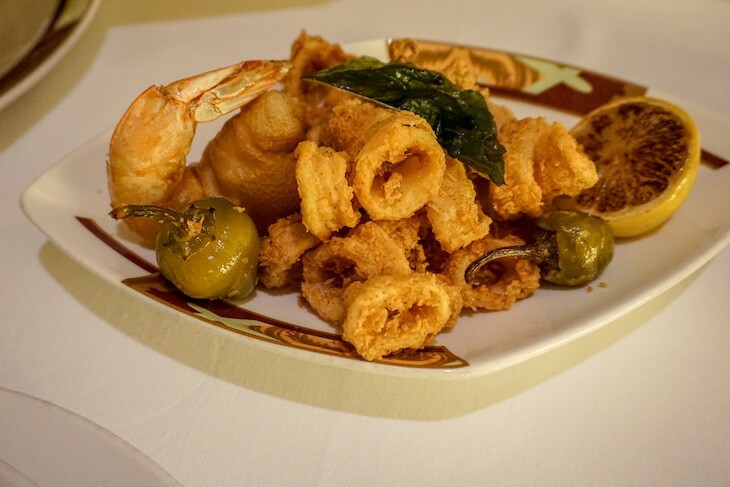 Follow with the delicate fritto di calamari and shrimp. 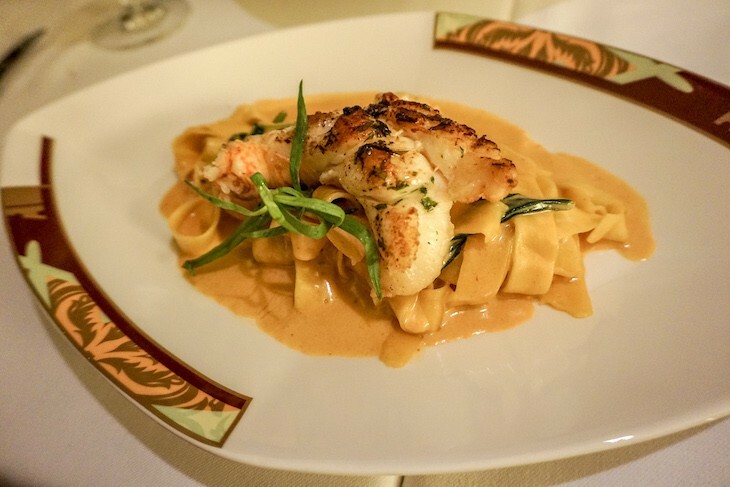 For your pasta course it should be either the Chianti braised beef ravioli in a red wine reduction or the lobster pappardelle with a creamy tomato-fennel sauce. Of course, you might really consider stopping now, but we all know that isn’t going to happen. Besides, who can resist entrées like branzino (sea bass) in parchment served with a side of roasted potato fingers and delicate zucchini. Or an excellent osso buco, falling-off-the-bone, rich, and tender with creamy parmesan risotto, plus a marrow spoon so you won’t miss a bit of flavor. 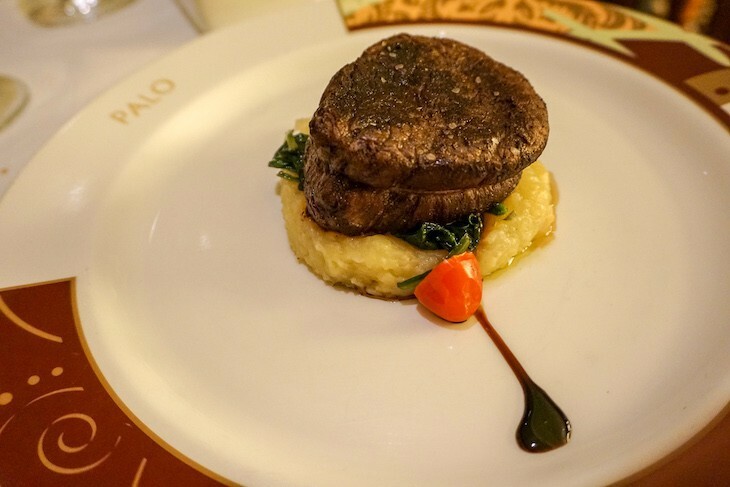 And then there’s the outstanding beef tenderloin with a choice of either red wine or Gorgonzola sauce; I suggest going for gusto and opting for cheese. 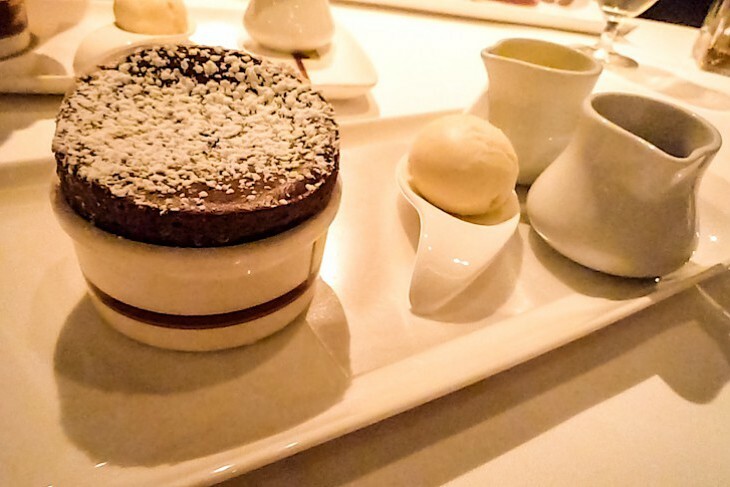 As for dessert, you really can’t dine here without ordering the famous chocolate soufflé. Trouble deciding between chocolate or vanilla sauce? 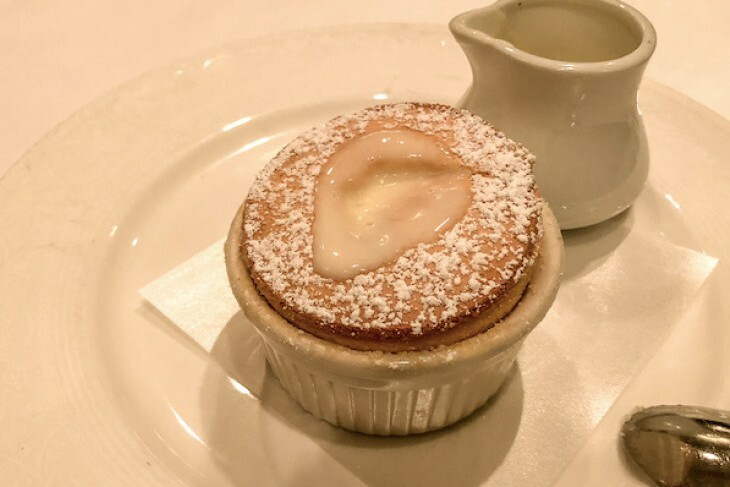 Don't worry, they serve both alongside this delicate gem and accompany it all with a dollop of creamy, vanilla bean ice cream. And please, don't even bother with the discussion of whether or not to share one. Go for the whole banana! Suggested dress at Palo is jacket and/or dress shirt for men and a dress or pantsuit for ladies, with dinner served from 6:00 to 11:00 p.m. Palo also features a reservations-only champagne brunch on 4-night and longer cruises where their famous pizzas (something that used to be on the dinner menu) are available along with countless other choices. A $40 per person additional fee is accessed for both dinner and brunch. Frette linens, Christofle silverware, Riedel crystal. 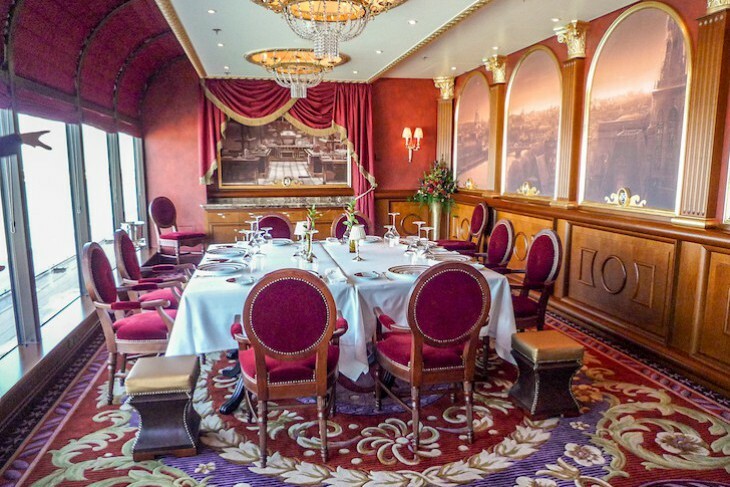 An art-nouveau-style dining room, attentive French waiters with delicious accents. Victoria & Albert's Scott Hunell's collaboration with the Michelin-starred l'Assiette Champenoise's Arnaud Lallement…need I say more? 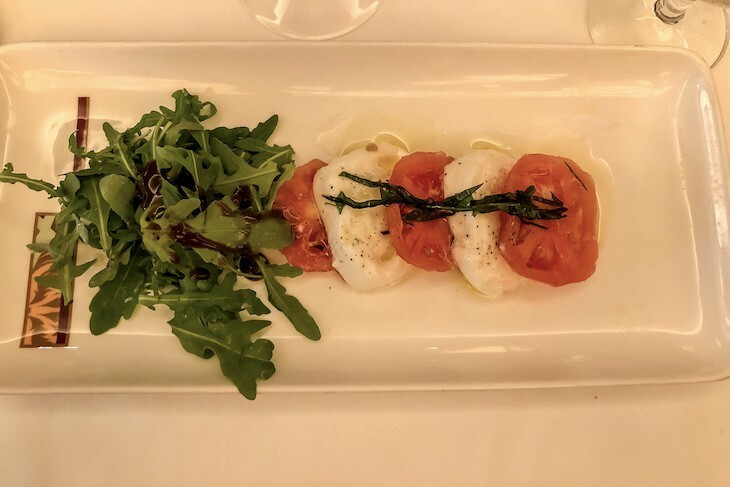 Here, eight exciting courses embody one of the most refined and creative menus at sea, no less than a five-star experience in my book. 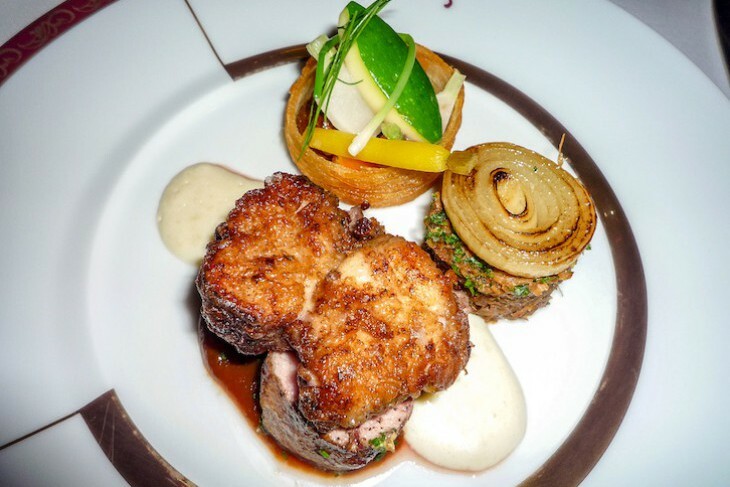 Some of the highlights: flétan, halibut on a bed of leeks; or olive oil poached sablefish with fennel ravioli in a Pernod cream sauce; and Kobe Style Beef with a bordelaise sauce. You’ll also love the beef carpaccio and cheese ravioli served with beef tartare or the cabbage wrapped king crab. As to the final courses, if you're short on room then I suggest a few selections from the cheese tray in lieu of dessert. Beware the surprise ending: an array of miniature dessert bites that are even more enticing than the standard dessert choices. While there are many reasonably priced selections from the amazing wine list, I imagine you couldn't go wrong ordering a bottle of 1947 Château Cheval Blanc for a mere $25,000! 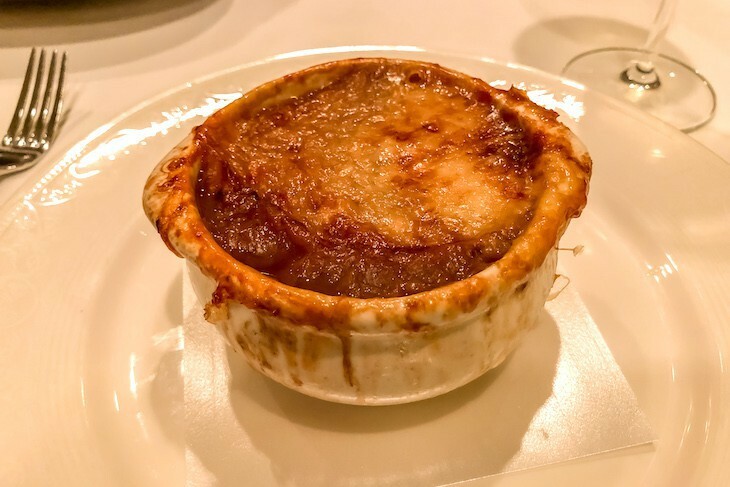 Remy’s surcharge is $125 per person at dinner (while high by cruise standards, this meal is entirely worth it). Attire for gents is dress pants with a jacket (ties are optional), and for women a cocktail dress, pant suit, or skirt/blouse. If you just can’t get enough of this place try the Champagne Brunch served on at-sea days for cruises of four nights or longer. 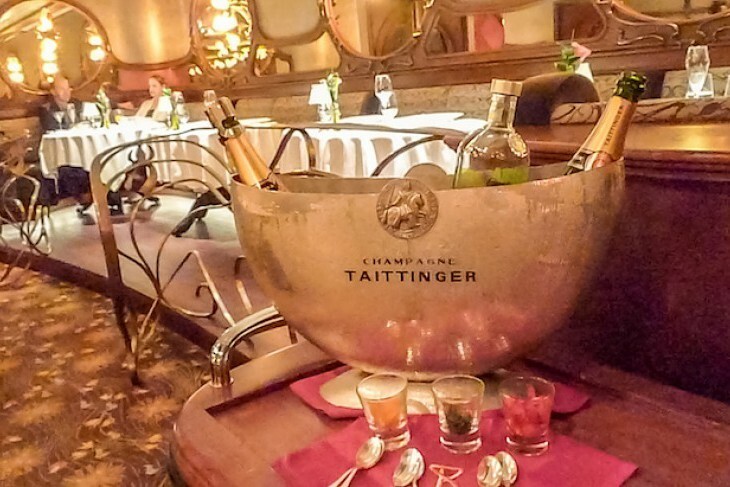 Less expensive at $75 per person, begin with a glass of bubbly and Pata Negra Spanish ham. First course is gnocchi with a chili foam, and caviar-topped lobster cannelloni. 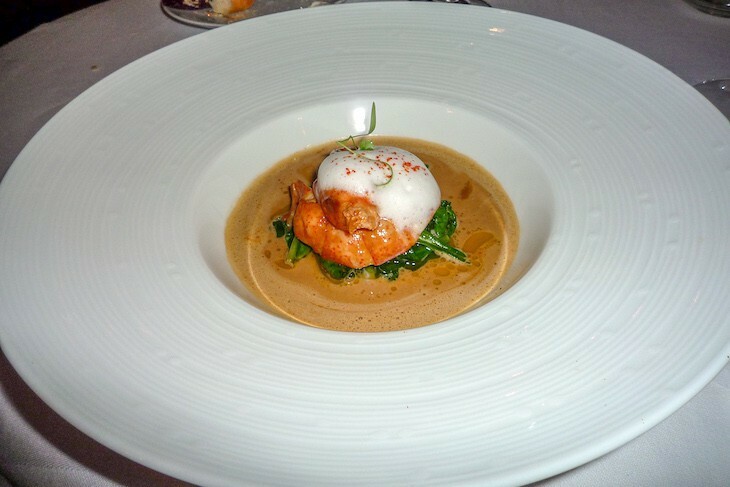 Sea bass sitting atop soft scrambled eggs, veal tenderloin with herb sauce, and a potato croquette make up the main course, and a chocolate duo dessert ends the meal. Jackets for men are not required for brunch but appropriate nevertheless. Casual indoor/outdoor buffet restaurant with a seaside theme located on the pool deck. Pool-deck casual, grab n’ go dining. 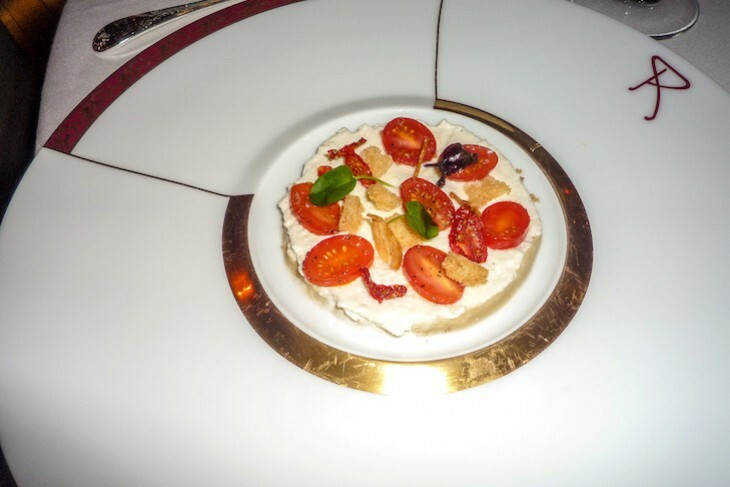 Included in the price of your cruise is 24-hour room service.